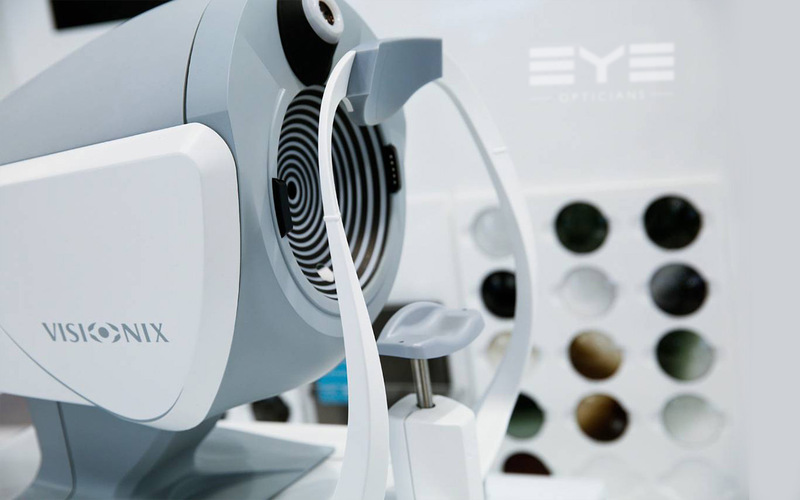 EYE Opticians prides itself in providing the best in clinical excellence for its customers by investing in state of the art instruments and highly qualified staff making the patient journey professional, seamless and informative. Created in 2016, the Diagnostic Centre is the nerve centre of Eye Opticians. 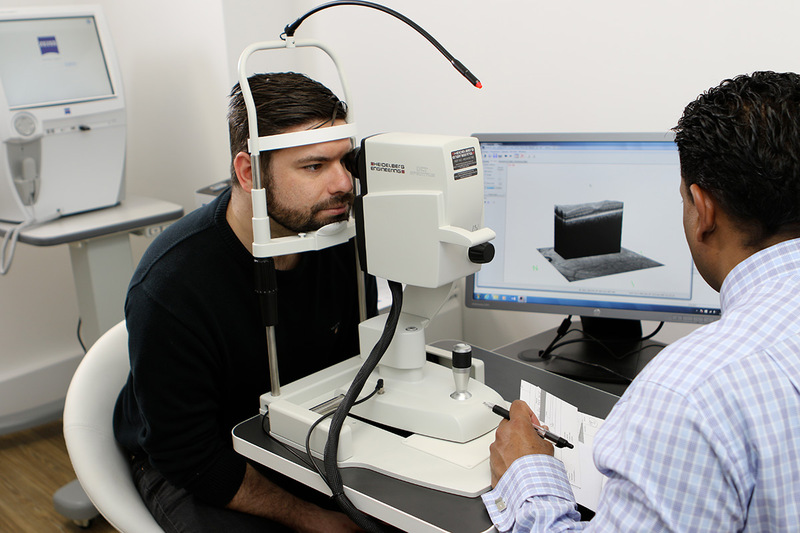 With the most sophisticated diagnostic tools in the UK, Eye Opticians can diagnose glaucoma, AMD and cataracts before they have any effect on the patient’s eyesight. Heidelberg Spectralis is the worlds leading OCT and a gold standard in detection and management of AMD, glaucoma and diabetic eye disease. OCT is a non-invasive in vivo biopsy 3D imaging of the retina and optic nerve head. Crucial for the early diagnosis of conditions such as glaucoma and macular disease. Visual field testing detects dysfunction in central and peripheral vision, which may be caused by glaucoma, stroke, neurological deficits and brain tumors. The Zeiss HFA3 is the accepted gold standard of care in glaucoma diagnostics and management. Spectralis captures a photograph of the back of the eye (fundus) to detect any abnormalities. 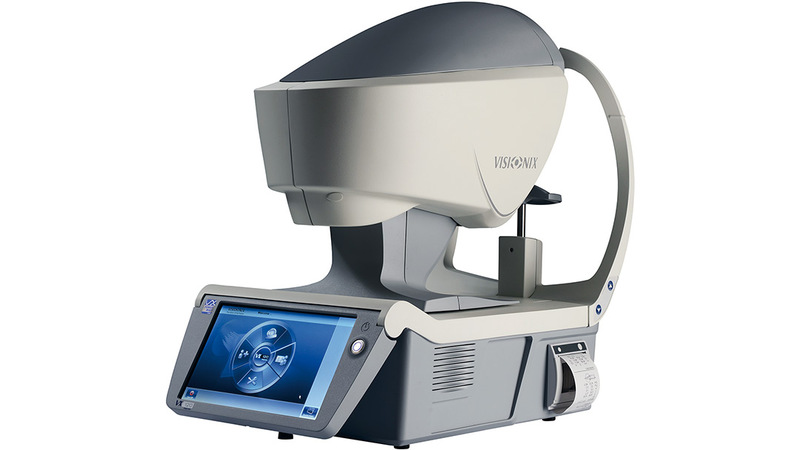 The VX 120 is a perfect tool to screen for glaucoma, cataract, visual defects, and corneal diseases thanks to a unique combination of functions including Refraction, Keratometry, Aberrometry, Topography, Pupillometry, Tonometry, and Anterior Chamber Analysis using Scheimpflug imaging. Visionix VX120 measures thickness of the cornea (front surface of the eye) Useful in screening patients suspected of developing glaucoma and keratoconus. Visionix measures optic aberrations to give the best refraction and visual performance for daytime and nighttime vision. Visionix VX120 maps the surface of the eye for keratoconus and fitting of complex and bespoke contact lenses. Visionix takes images of the anterior chamber of the eye for detection of cataract opacity, iridocorneal angle and dry eye diagnosis.